Thicker, Fuller Looking Hair May Naturally Be Yours, Again. Having a full head of hair again does not have to remain a dream. Many people are attaining a fuller, thicker, younger head of hair, and they're getting it in as little as three (3) short weeks. Rescue Hair MD™ is the all natural breakthrough in natural hair regrowth that's helping many regain not only their hair, but that attractive confidence that comes along with it as well. Your search for an answer to appalling hair loss can finally be over. Try Rescue Hair MD™. It may be the final hair restoration solution you've been hoping for as well. The physician's at Rescue Hair MD have developed a complete range of all-natural healthcare supplements for your overall health. From phytoceramide based skin care supplements to life-improving probiotic gastrointestinal supplements, to the latest in all-natural hearing improvement supplements and breakthrough all-natural hair regrowth supplements. 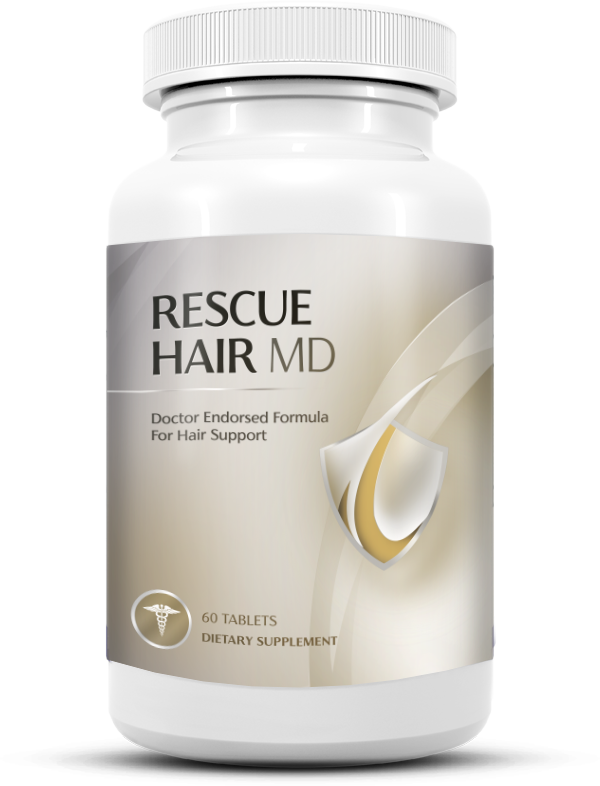 Rescue Hair MD uses their years of experience in natural health medicine to give you the most powerful, all natural supplements available. Try Rescue Hair MD today and experience the difference for yourself. Rescue Hair MD™ is a breakthrough formula that contains four natural building blocks found to fill the scalp with thicker and fuller hair. The four primary ingredients used in Rescue Hair MD™ were discovered by two leading medical doctors after years of constant research, testing and retesting. The result is a new, amazing all-natural supplement that supports the natural re-awakening of hair follicles.